Don’t miss out on the latest BarberEVO North America! Click here for more details on the latest edition. Inside issue six we take a look at the year ahead, asking some of the top barbers from around the globe what we should expect to see in spring, from textured, minimalist styles to the ever-popular fades. To celebrate the NFL Super Bowl, we speak to the barbers who keep your favorite players well-groomed with the sharpest cuts, and we delve into the world of art and discuss its place in the barbershop. 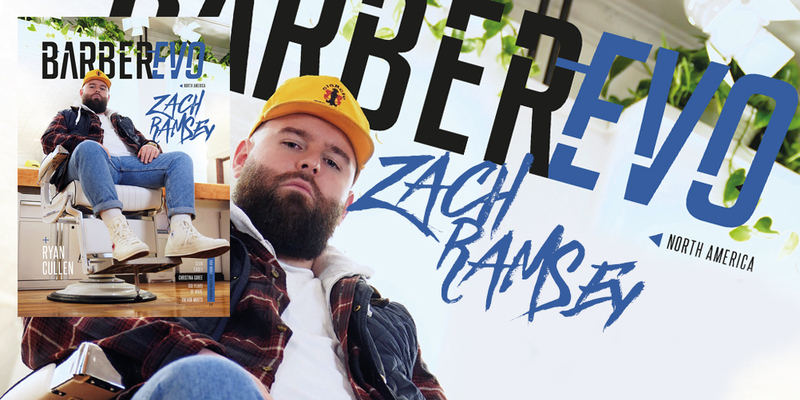 As well as our regular features and columns, we also have some incredible interviews with industry big-hitters like Christina Goree, Zach Ramsey, Sean Casey and more, and take you ‘Behind the Brand’ with Hattori Hanzo Shears. We explore the barbershops of Portland and give you a run-down of the biggest events on the barber calendar this year. From scissors to Sid Sottung, we bring you another 104-page issue brimming with industry insights, education and more. We’re so excited to bring you six brand new editions of the magazine over the course of 2019, but for now, read on and enjoy! Buy your copy of issue 6 here. Subscribe to BarberEVO Magazine North America here.